There are so many travel resources out there it can feel like you spend hours researching flights, hotels and sites before you feel prepared to book your trip. In fact, 46 percent of leisure travelers globally think travel planning takes too long, according to our recent research with Phocuswright. To make trip planning faster and effortless, we’re working on new ways to help bring your existing travel plans together—and even plan your next trip. When you look for top travel destinations worldwide—even if you haven’t booked anything yet—we’ll help jump-start your trip planning with relevant suggestions right in Google Search. We’ll show you things to do, day plans or travel articles. As you start booking and receive your flight or hotel email confirmations in Gmail, these travel recommendations will be further customized in organic search results on Google. For example, if you’re searching “Austin” and already booked your hotel, you’ll see things like flight prices, weather and events for your dates of travel, and even restaurants near where you're staying. 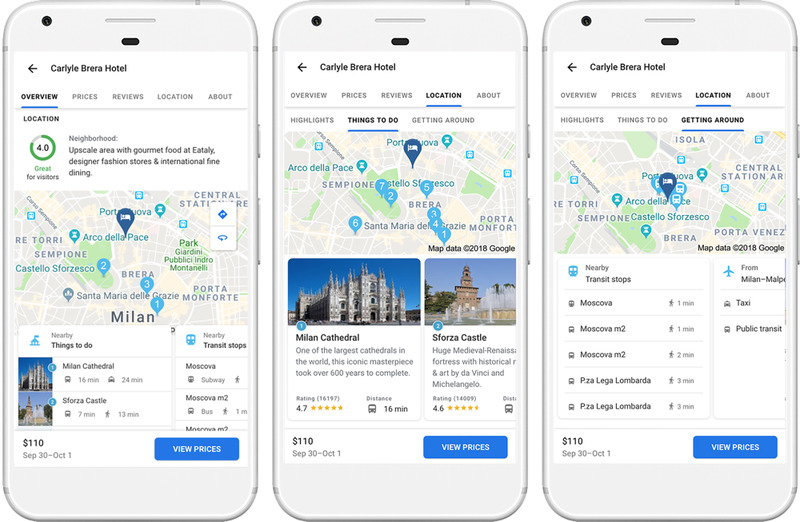 In addition to helping you fill in the gaps with your existing trips, in October we’ll launch new features in Your Trips that will make it easier to organize travel plans still in the works, and resume planning where you last left off. For example, if you’ve recently started looking at traveling to Milan, we’ll show you potential trip information in Your Trips like flight prices you’re tracking (if you have any), destination-specific flight and hotel searches, and places you’ve saved. That way, you can easily pick up your travel research when you come back to Google. To see Your Trips, search for “my trips” on Google, or tap on the Your Trips tab from Google Flights or Hotels on your phone. If you don’t want to see private results, you can opt out by adjusting your Private results and Web & app activity settings. See more information in Google Settings. Wondering whether you've found a decent price for a flight can be the most stressful part of planning a trip. On Google Flights, we’re expanding the same tip you already see for Thanksgiving—which tells you whether a flight price is higher or lower than usual—to include December holidays like Christmas and New Year’s. This tip will appear worldwide over the coming weeks when you search for flights on your phone over the December holidays. We’ll also notify you if prices are not going to drop or if they’re likely to rise in the next five days. For more information on holiday travel, flight price trends and cities with great hotel deals, check out this infographic. Not sure where to stay? Try the new hotel location score which summarizes the hotel’s neighborhood based on information from Google Maps. You can see if the hotel is close to things like bars, landmarks or public transportation. For example, you’ll see if a specific hotel is near boutique shops to fill your fashion fix or within walking distance from the Milan Duomo. You’ll also get information on getting to and from airports. 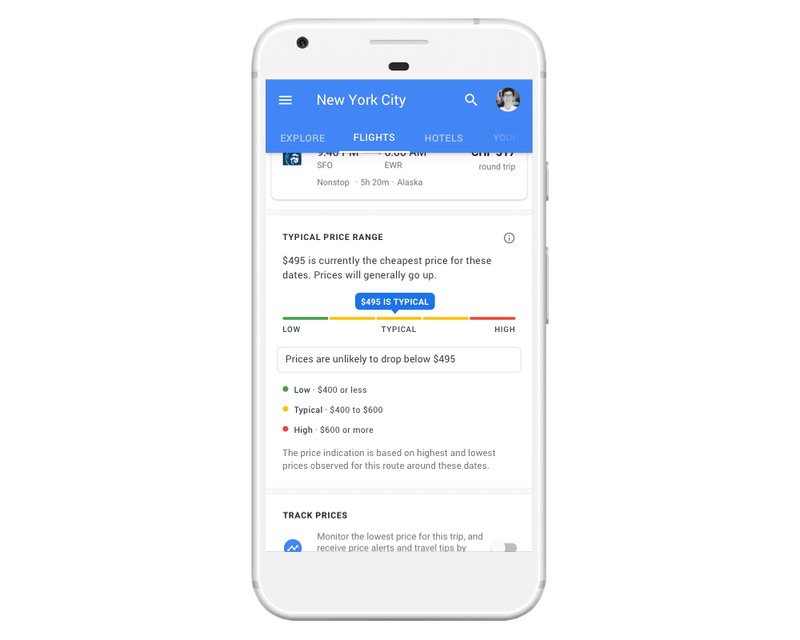 We’ll continue to work on making trip planning across Google effortless. Use these new features to help make planning your next trip easier—and more fun!